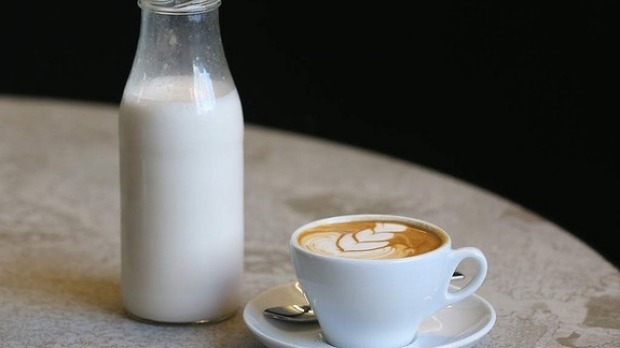 Why are baristas going nuts for almond milk? Remember when the only choice in milk at a cafe was skinny or full-cream dairy? These days soy milk provides a widespread alternative, but all of a sudden almond milk is on the menu - providing a second, non-dairy alternative - particularly in cafes with a health focus. Fresh almond milk has a similar creamy texture to dairy milk, while its gentle, nutty taste is well-suited to coffee, chai and smoothies. Demand for almond milk has surged in part because of the number of people searching for lactose-free milk alternatives, because of a rise in popularity of diets such as the paleo diet and because of health concerns regarding high consumption of soy products. While many people are put-off by the strong bean flavour of some soy milks, others find it difficult to digest and there are also concerns in some cirlces about the presence of phytoestrogens in soy milk. 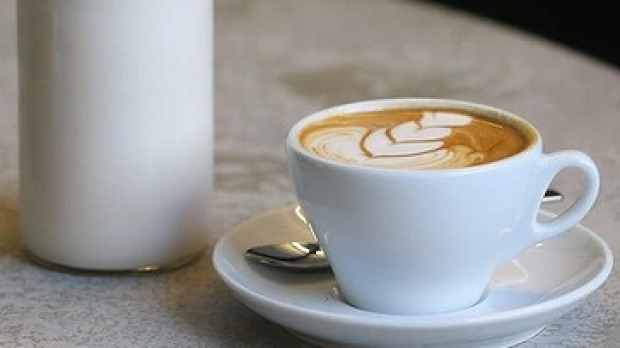 Butter in your coffee: Australia's next cafe trend? Trends: what is almond milk and why are people going nuts for it? A spokesperson for Coles said while the company had begun selling long-life almond milk seven years ago, “we've only seen significant interest from our customers in the last three years”. Coles reported a 40 per cent increase in sales of almond milk over the past year. Roger Ringwood of Almond Breeze told goodfood.com.au sales of the brand had risen 83 per cent in the February quarter 2014 compared to the same period in 2013. While almond milk is available at health stores and supermarkets nationally, aficionados recommend making it at home; it's fresher, tastier, more nutritious and in some instances cheaper than store-bought versions. Making almond milk is simple. Raw almonds are blended with water and then the solid particles are separated out with a nut bag or metal sieve. 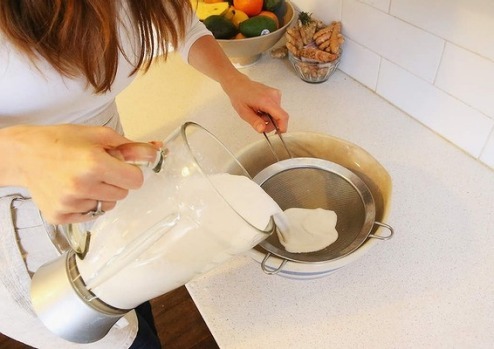 Almond milk can replace dairy milk in most recipes. It's delicious when used in biscuits, cakes and slices and can also be flavoured with chocolate, dates, vanilla or coconut. Almonds are a good source of protein and mono-unsaturated fats. They also contain fibre, antioxidants and minerals such as magnesium, manganese, phosphorus, calcium and iron. However, some commercial brands of almond milk contain as little as 2 per cent almonds. Almond milk also contains less protein, calcium and vitamin D than cow's milk. Most tetra-pack varieties contain between 2-10 per cent almonds and many are pasteurised for a longer shelf life. Many also contain added sugar and preservatives. Making your own (see recipe below) boosts the proportion of almonds to about 15 per cent, resulting in a richer, creamier milk. This explains why many cafes go to the trouble of sourcing the freshly made product from a growing number of boutique suppliers. Some commercial producers are activating their almonds by pre-soaking them prior to blending them into milk. Sheila Lazzaro of brand Pure Harvest says this method makes the nuts easier to digest and also helps your body to absorb the nutrients. Activation is easily done at home - simply place them in water to soak the night before you make your milk. 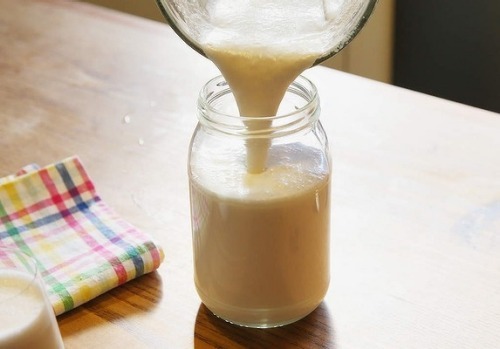 You can remove the almond skins, which results in a lighter-coloured milk and also removes a slightly bitter flavour. 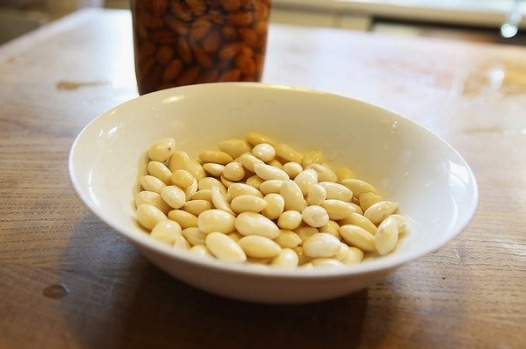 Simply pour boiling water over the almonds and let them sit for five minutes. Drain. Skins should peel off easily. 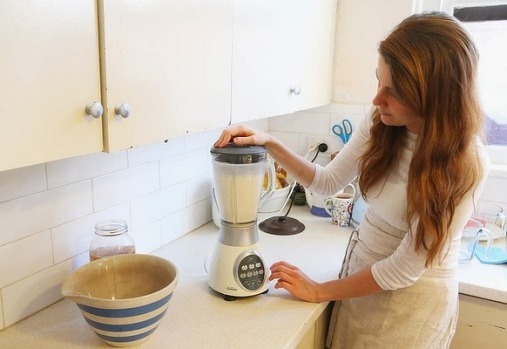 Make your almond milk by puring the almonds and 2 cups of water into a food processor or blender. 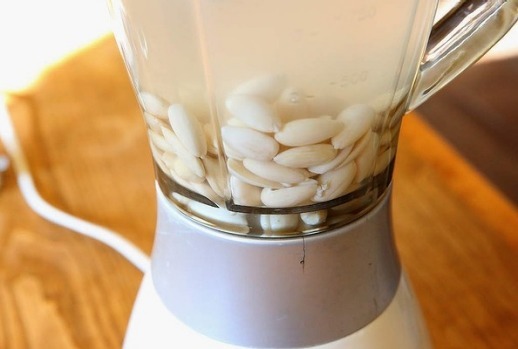 Blend well for 3-5 minutes so that the almonds form a fine meal. Using a fine mesh sieve strain the milk to remove the solid particles (almond meal). Alternatively, you can use a cheesecloth or nut bag to strain the milk, but this can take as long as three-to-five hours. If using the cloth method, you can squeeze at the last dregs of milk using your hands. 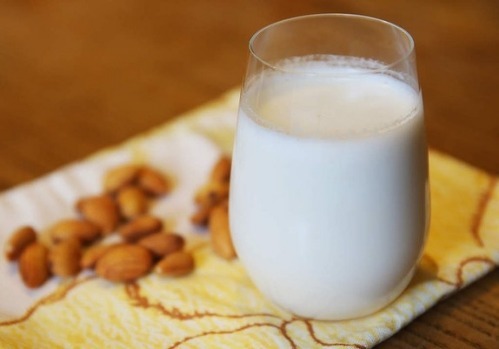 Fresh almond milk can be kept in the fridge for up to three days. You can also freeze it. To make a second batch: After draining your almond milk from the almond solids, simply add another 2 cups of water and blend again. The milk will be more watery, but still quite delicious. To make a sweet almond milk: add 5 pitted, medjool dates and 1/4 teaspoon pure vanilla essence at step 3. To make a coconut-almond milk: Place 1 cup shredded coconut or dried coconut flakes in a small bowl and cover with 1 cup boiling water. Leave to soak until it reaches a warm room temperature. Add this mixture to the almonds and water in step 3. Use up leftover almond meal: After straining the milk you will be left with about one cup of almond meal. This can be gently toasted in the oven by spreading it flat on a baking tray and roasting at 180 degrees for 20-30 minutes. Use in any recipe that calls for almond meal – cakes, biscuits, pie fillings etc. 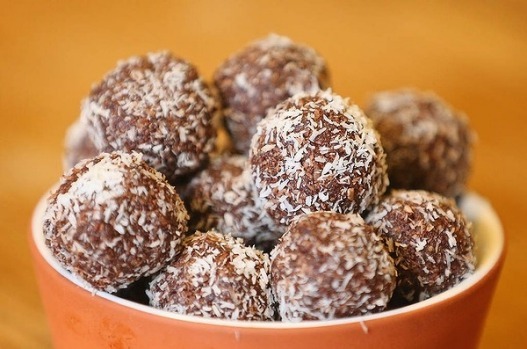 See Arabella's recipe for choc almond balls (below). 1. After making the almond milk, spread leftover almond meal on a baking tray (roughly 1/2 cm thick) and place in a pre-heated, fan force oven at 180C. 3. In a food processor, combine all the ingredients to form a smooth paste. Roll into balls using your hands, then cover with a layer of desiccated coconut. Serve fresh.